I have come to find that one either loves Portishead or hates Beth Gibbons' voice. And that's OK. I happen to fall on the side of loving them ever since "Sour Times." The juxtaposition of her voice and the unsettling, and at times cinematic, music appeals to me. This song comes from Portishead's 2008 comeback album, which came 11 years after Portishead. I had almost forgot about them, but they came roaring back. 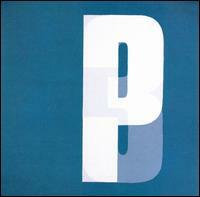 The song is very much Portishead, but with the updates of their sound that appear on Third. There's live drums that kinda remind me of "Sunday Bloody Sunday" along with the metallic ping of the cowbell, some swirling noise in the background, piano chords over the chorus, and a screeching sax solo. Now they're much more just than trip-hop, scratchy samples, and break beats.